This piece is composed of two different elements, a high-contrast texture of bright and dark intervals that portraits Pluto, and a dark polar motive that interrupts this uniform which portraits Charon. Pluto and Charon are a marvelous pair, icy worlds spinning around a center of gravity. 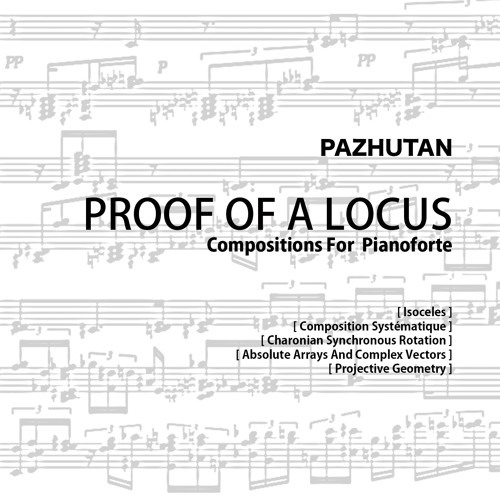 From the "Proof Of A Locus", a collection of compositions for Pianoforte.